This book's fifteen sections demonstrate the broad range of fields now focusing on consciousness. The sections include philosophy, cognitive science, medicine, neurobiology, neural correlates, vision, sleep and dreaming, anesthesia, molecular biology and evolution, quantum theory,spacetime, hierarchical organization, and experiential approaches. What is consciousness? Recent attempts to answer this question have motivated two interdisciplinary conferences sponsored by the University of Arizona in Tucson. The first volume of Toward a Science of Consciousness is now considered a resource book for the emerging field. This volume presents a selection of invited papers from the second conference, held in April 1996. 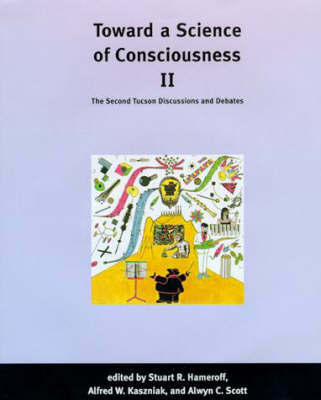 The book's fifteen sections demonstrate the broad range of fields now focusing on consciousness. The sections include philosophy, cognitive science, medicine, neurobiology, neural correlates, vision, sleep and dreaming, anesthesia, molecular biology and evolution, quantum theory, spacetime, hierarchial organization, and experiential approaches. Each section is preceded by an overview and commentary. The participants include Bernard Baars, Ned Block, David J. Chalmers, Patricia S. Churchland, Daniel C. Dennett, Jeffrey Gray, Daniel Hillis, J. Allan Hobson, Stephen LaBerge, Jaron Lanier, Daniel S. Levine, Nikos K. Logothetis, Gary E. Schwartz, John R. Searle, Roger N. Shepard, Henry P. Stapp, Petra Stoerig, Charles T. Tart, John Taylor, Francisco J. Varela, Max Velmans, Roger Walsh, and Lawrence Weiskantz.